Moviestorm for iPad - Get Animated in 3d! No special skills required, Moviestorm is designed for super-fast semi-automated creation of simple but effective videos, to share. 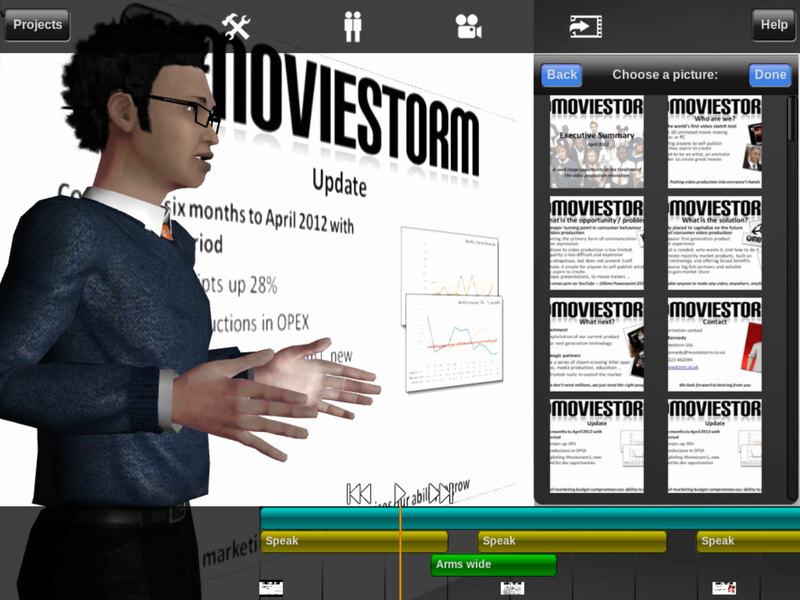 Moviestorm is the start of a whole new approach to letting everyone create video messages, anywhere, anytime. You can be whoever you want, wherever you want - just record your speech and your actor comes alive, ready for direction. 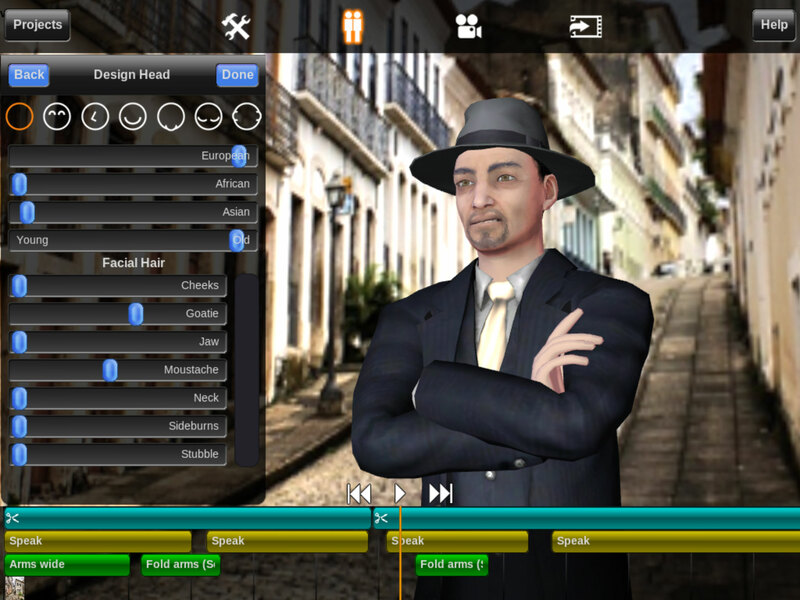 "Best new app I've seen all year"
Create your own personal 3d avatar from a near infinite range of possible face shapes. Dress your character from a huge range of costumes, hairstyles and accessories. 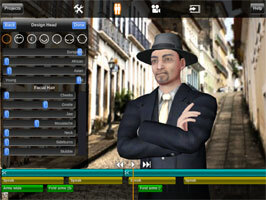 Let your avatar's AI perform for you, or take full control of emotes, gestures, moods, and camera moves on the timeline. 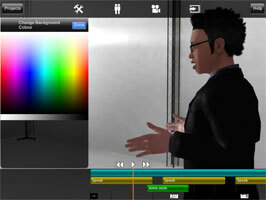 Render your video out to your Camera Roll to share, or combine clips in apps like iMovie®. We will soon be adding loads more exciting features, so GET ANIMATED now and join the consumer video production revolution with Moviestorm!